Life’s officially back to normal after the summer holidays. How do I know this? I can finally park the car in my local shopping centre without having to do laps looking for a free space! It seems that the hordes of school children and uni students who called the mall home most days throughout the summer holidays finally have somewhere else they have to be. The sad thing is that most of us are also back behind our desks and the summer holidays are but a distant memory. But before you book your next mini-break, try to look for some positives in your role. Maybe there’s a training course you can enrol in to extend your skills, or perhaps there’s a better way of doing a task you do every day, like checking and responding to your emails. This week we’ve dedicated our blog to all things work: great products that will get you excited about your next business trip, meeting or presentation, and tips on how to deal with stressful work situations, like emails coming from all directions. Watch this space for more helpful tips on how to survive and thrive at work this year in our Work Hard, Play Hard series. Personally, I find email a terrible distraction. Every time I access my inbox to look for a piece of info someone has sent me, I catch myself going through new emails and feeling overwhelmed by additional tasks I need to complete. Unless your job is entirely driven by receiving emails i.e. answering customer queries that only come through on email, limit yourself to how often you check your emails. I allow myself half an hour every couple of hours to check emails and prioritise the ones that need an urgent response. Most people are happy if you respond on the same day you receive their email, and if it’s a life-or-death situation they’ll usually call instead. If you receive a message or alert every time you get an email, you’ll go insane. Curiosity will drive you to check your inbox, so turn off your email alerts and focus on what you’re doing. This will limit your desire to click on your inbox, ‘just in case’ anything new has come through. Complete the task you are doing, and then check your email. Anton Martin from Sherpa Design is a big fan of creating folders for clients or projects. “It's important to organise all of your current projects or clients into their own folders to keep your inbox clean and to have relevant client emails easily index-able,” Anton explains. To avoid the infinite list of folders down the left-hand side of your inbox, have a Spring Clean every now and then and archive old folders you don’t use. Anton recommends archiving “Previous clients email folders so they remain organised and free up precious email storage”. “There is nothing more off-putting than an email header that reads: "Can you work on this and...." before concluding the sentence "...that by Friday please" in the body of the email. It looks unprofessional and is often sent straight to the trash pile,” says Jess. Elizabeth Moore, Brand Manager of Wallsneedlove recommends using ‘“Boomerang’ which sends a reminder after a specified amount of time if they haven’t responded, making it much easier to send follow up e-mails”. Does your email make sense and will your recipient understand what you mean? “Read over what you have written before sending and you are much more likely to get the response you want,” advises Elizabeth. • Find a strategy of categorising your emails so you can work through them. 2. Delegate - if it is a task that someone else is able to do forward it to them straight away. 5. Defer - If you don't have enough time, defer it with a reminder for later (but remove it from your inbox). Work out who sends you the most emails and try and find an alternative way to communicate. If it’s a work colleague or client, schedule a regular (brief but focused) meeting where you can discuss points that would usually be emailed. Ensure your team members and colleagues know when they should and shouldn’t cc you on emails. Remove yourself from unnecessary mailing lists. “It’s important to remember when e-mailing that you are still talking to someone. We get so many e-mails these days it can be hard to keep up, both with whom we have e-mailed and who has e-mailed us,” says Elizabeth Moore of Wallsneedlove. Elizabeth recommends starting your email off “with a genuine and attention grabbing intro. My go-to-intro is ‘Hello [name], I hope this e-mail finds you well.’ Be genuine and show attention to detail”. Elizabeth Moore, Wallsneedlove: Elizabeth is the Brand Manager of Wallsneedlove.com where she runs the social media platforms and manages SEO. 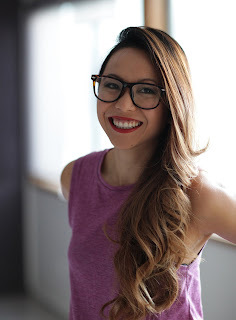 She has worked in social media and marketing professionally since graduating college in 2010. Check out what www.wallsneedlove.com can do for you. The boys both have an Italian heritage, which probably explains the importance they place on food – and not just any food, but the freshest food they can grow. “We grew up being centred with food as part of our life. We always had the back garden full of veggies and fresh food coming from the back garden, so it’s a way of life,” says Fabian. This philosophy can sometimes present a challenge in large cities where many people live in small apartments and houses with limited space. Based in Melbourne, The Little Veggie Patch Co are aware of these limitations and “specialise in the design, installation and maintenance of chemical-free vegetable gardens” - for any sized space. In addition to offering custom design and installation of gardens for clients, the boys have produced two books: How to Grow Food in Small Spaces (book 1) and Guide to Backyard Farming(book 2). They also sell a sensational range of heirloom seeds and are keen to encourage people to have a go growing these classic varieties at home for themselves. Novice and veteran gardeners alike will love the tips and tricks included in both LVPC books. The books are exceptionally well written in an easy-to-read style (not a sentence of gardening jargon in site!) and feature plenty of beautiful images to highlight a variety of topics, such as Making a Scarecrow, Building a Spud Tower or Growing Beans in a Bean Can. Book one also boasts an A-Z of edible plants. With 10 years landscaping experience from his previous job under his belt, Matthew knows a thing or two about creating the perfect space for clients. Matthew also has a Bachelor of Commerce from University of Melbourne (2000). Fabian is adding another string to his bow by completing a Masters in Urban Horticulture at the University of Melbourne (Burnley Campus), in addition to his degree in Business Administration from Monash University (1998). LVPC received “Best in Show” for their display connecting edible gardens to native Australian landscapes at the 2010 Melbourne International Flower and Garden Show. LVPC and the Stephanie Alexander Kitchen Gardens Foundation (SAKGF) have been working together since LVPC started. LVPC is the sole representative of the SAKGF initiative with an exhibition garden at Collingwood Primary. Check out The Little Veggie Patch Co books: How to Grow Food in Small Spaces and Guide to Backyard Farming as well as their selection of heirloom seeds – the perfect gift for budding or experienced gardeners alike. SPECIAL OFFER: Receive FREE DELIVERY on all The Little Veggie Patch Co orders placed before 5pm Sat 23/2/2013. Simply enter Coupon Code VEGGIE when you checkout. Not many things beat an authentic Cherry Kirsch Cake made-from-scratch. At first glance, the below recipe might seem quite complicated, but I promise you it’s worth it! Melt butter, dark choc and coffee granules till just melted - do not boil. Remove from heat and set aside, sift all dry ingredients and combine liquids and mix well. Incorporate chocolate and liquid together, whisk in eggs and mix in dry ingredients until just combined. Allow to cool completely, trim top of slice and cut 6 circles using metal rings. Whisk egg whites till peaks form and add caster sugar slowly. Remove and gently fold through crushed nuts and icing sugar. Place baking paper on baking tray. Put in piping bag and pipe circular rings to fit the size of the mould (draw circles on the baking paper as a guide). Bake in 180 degrees oven for 15 mins till golden brown, crisp on the outside but still moist inside. Remove from oven and allow to cool down completely. Fold chocolate into egg whites, then fold into whipped cream. Assemble line rings with plastic acetate. Spread acetate with melted chocolate and carefully line the inside of the ring (plastic acetate to face outwards). Fridge the rings until chocolate is set. Place dacquoise disks on base of metal ring. Pipe the mousse mixture evenly between the 6 rings. 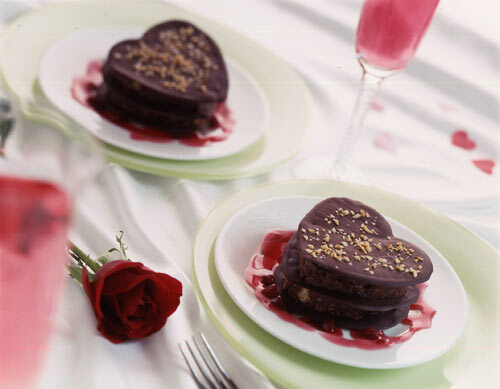 Then place the disks of mudcake on top of mousse. Remove ring and acetate. 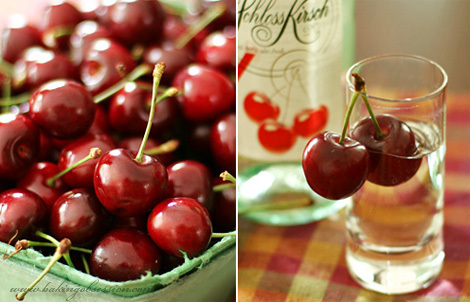 Garnish with fresh cherries and raspberry coulis and dust with icing sugar. Perth’s Trustee Bar and Bistro is owned and operated by brother and sister duo, Angie and Scott Taylor. Angie has a PhD in paediatric immunology and Scott is a wine columnist and educator. This dynamic duo are also behind the iconic Beaufort Street Merchant and the latest string to their bow, Obsesso Expresso in the CBD. If you're in need of some new cooking utensils, check out Joseph Joseph's Elevate Carousel Set. There are 6 handy tools have a weighted handle that ensures the cooking end remains elevated and doesn't touch your kitchen bench - minimising mess and maximising hygiene. Tools also hang neatly on a rotating stand - minimising clutter and maximising space. Most of us have many happy memories associated with a good ol’ fashioned chocolate fudge. It might be a memory from our childhood, or in my case it’s a recollection of a girl I used to work with who made a kick-ar*se chocolate fudge. This decadent (but can you believe it, healthy) treat will help you rekindle those fond memories. 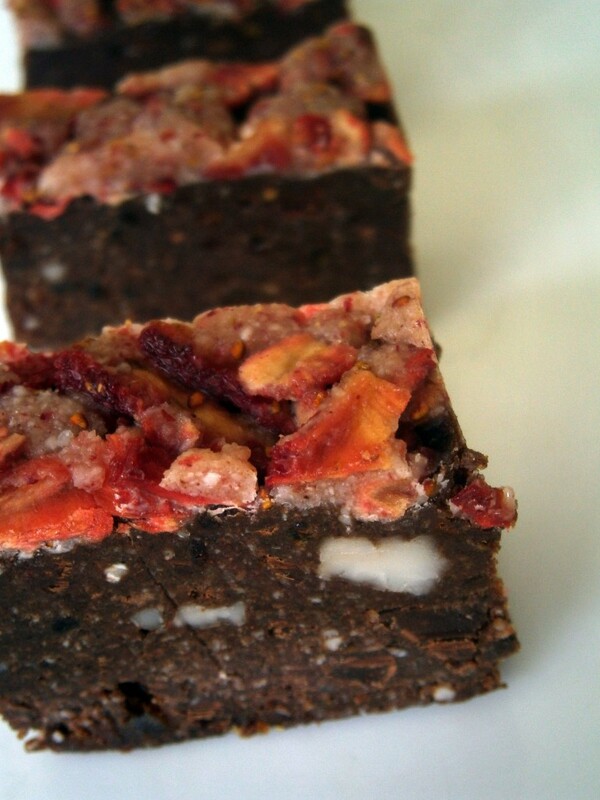 Louise Mackie from Fridge Scrapings - our source for this RAW Chocolate Nut Fudge with Sweet Strawberry Topping - reckons that this recipe is “perfect for Valentine’s Day....BUT it's also healthy! What could be better? Healthful indulgence with no guilt...also great for those with food allergies”. It’s Vegan and free from gluten, wheat, soy, grain and refined sugar free. Pulse all ingredients together in a food processor – if you prefer chunks of chocolate/nuts then leave out the last two ingredients, and fold them into the mix once it forms a soft “dough” – otherwise just whizz everything together. Press into a lined loaf pan, and let it chill in the fridge and “set”. Quickly pulse everything together in a food processor, leaving it reasonably chunky. Spread thinly over the set fudge, and return to the fridge. Carefully cut into small bars/squares once set. All you need to do is get yourself a bag of coconut shreds (at least 3 cups, otherwise it’s way too frustrating). Chuck in your food processor and process, process, process. Patience is a virtue, yes as this tends to take a little time, but you will reap your rewards in the end. The coconut goes through a few stages….clumpy as the oils release. Scrape down the sides of the bowl and give the motor of your machine a break every now and then – “don’t go blowing up appliances on my account,” says Louise. Louise Mackie openly admits that she likes to “cook and eat weird food” on her blog, www.fridgescrapings.com. Louise is a Vegan, as well as a mum and yoga teacher-in-training. The more you read about her passion for food and cooking, the more you actually realise that her choices aren’t “weird” but part of an exciting journey of self-discovery towards a healthier, balanced lifestyle. After reading Lou’s blog for a couple of minutes I felt compelled to re doesn't evaluate the contents of my fridge and pantry and really question every meal I make for myself and my family. Lou encourages her “family to eat REAL food – it doesn't matter what “label” your diet falls under (vegetarian, carnivore, RAW, paleo etc etc) you can still strive for a wholesome, responsible and sustainable way of eating”. And really, what is there to lose with recipes like the one above? Feeling inspired to grow some of your own fruit and veg as part of a healthier lifestyle choice? Check out some of these beautiful heirloom seed varieties from The Little Veggie Patch Co.
Heirloom Beetroot variety from The Little Veggie Patch Co. 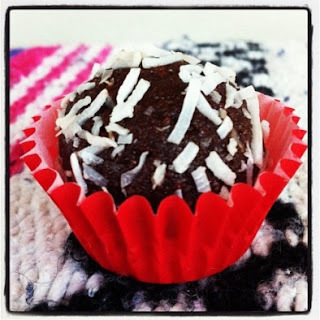 It must be my lucky day – two healthy truffle recipes in one week! In case you can’t tell, I’m a truffle addict. This Raw Vegan Cacao Superfood Truffles recipe has been kindly shared with us from Maz at Sadhana Kitchen. This version has a few more nuts than our last truffle recipe, but both are equally as tasty and the best thing you can do is try them both! Maz from Sadhana Kitchen is a genius! Healthy truffles that taste awesome - love it! 1. Place all ingredients except for the last three in a food processor and mix until the consistency of almond meal (very fine crumbs). 2. Slowly add coconut oil, brown rice syrup, vanilla and good vibes until a sticky dough forms. 3. Transfer to a large mixing bowl and shape into balls by rolling between the palm of your hands. 4. Finish by rolling in shredded coconut and place in the fridge until ready to serve. TIP: Check out VeggieWave’s Soaking Chart with lots of hints and tips on soaking your seeds and nuts to get the most out of them nutritionally and making them easier to digest. Whilst cooking is fun, it can be a messy job. Keep your clothes looking their best (especially if you're entertaining) with this handy Crumbz Apron. They're beautifully made and this one's even red for Valentine's Day! A trip to the Caribbean is still on my wish list. Until I can get there, these fresh and simple Grilled prawn and chorizo skewers on a refreshing Caribbean salad are a tasty compromise and so easy to make this Valentine’s Day (especially if you don’t fancy slaving away in the kitchen all night!). 1. Chop up and combine all salad ingredients, season and dress with lime juice and olive oil. 2. Soak skewers in water, skewer prawn and then a slice of chorizo, repeat twice. 3. Grill with salt, pepper and olive oil until prawns are cooked and chorizo is crispy. 4. Place skewers on Caribbean salad with lime wedge and voodoo mayo on side. We've had a great response to the BBQ Mango Cheeks and Lamb recipe featured earlier this week, so we've got another delicious mango recipe – a dessert this time. 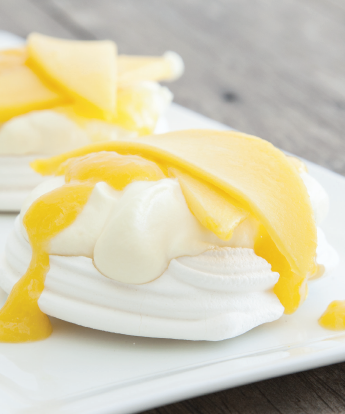 I don’t think I've met anyone who doesn't like Pavlova – it’s a summer classic. On a hot day you just can’t beat it with a bit of fresh mango. 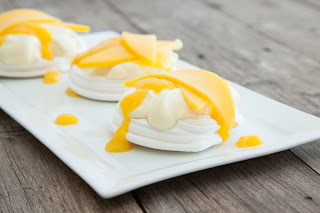 These Mini Mango Pavlovas are so easy and tasty that they’re certain to be a hit with your Valentine. 1. Scoop out the cheeks of one mango (see images below) and slice into thin strips or if you are feeling romantic, use a heart shaped cookie cutter to create hearts. 2. For the puree, slice and pit one mango and cut into pieces. Place mango, sugar and lemon juice in a food processor and puree until smooth. Cover and chill in fridge. 3. To serve, place the Pavlova nests on a platter, top with whipped cream, puree and mango slices or hearts. This recipe is courtesy of our mates from the Australian Mango Industry. Australian Mangoes are the flavour of summer with a range of varieties for you to enjoy all season long. There are four main varieties including the Kensington Pride, Calypso, R2E2 and Honey Gold, and several other late season varieties, including the Brooks, Keitt, Palmer, Kent and Pearl. Mangoes are quick and easy to prepare and are bursting with nutritional value. But best of all, mangoes are one of the most versatile fruits on the market; delicious by themselves or as an addition to your meat and seafood dishes, salads, cocktails, smoothies and desserts. Check out their website and their Facebook page. Good knife skills are something that every chef (amateur or professional) strives for. Half the battle is finding a good quality set of knives, and this knife set from Joseph Joseph will more than get you on your way to becoming a pro. The most memorable Valentine’s Day I have ever had was when my boyfriend (now husband) knocked off early from work, whizzed home and whipped up a roast dinner before I got home. He greeted me at the front door in a three-piece suit with a nice glass of bubbles. Our housemates made themselves scarce and we enjoyed a romantic candle-lit roast dinner with fancy wine. It was pure bliss! Sometimes it’s the simplest gestures that are the most romantic, which is why we have put together a collection of our favourite recipes to cook this Valentine’s Day. Cook them for your Valentine, or alternatively print them out and leave them on the kitchen bench to drop a hint. All orders received before Valentine's Day will receive a complimentary bag of chocolates. It doesn't matter if you are going out or spending the night in on Valentine’s Day, everyone likes to freshen up before a date. The Good On You Gift pack does just as the name suggests – feels ‘good on you’ and covers all bases with shampoo, moisturiser and hair product. Candles are an essential ingredient for any romantic evening. Create a stylish AND romantic ambiance by treating yourself to a Luminara candle or two. The best thing about these candles is that they are completely safe. They use an LED light instead of a flame, but are designed to ‘flicker’ so they look like the real thing. They’re also made from real wax that emits a subtle fragrance – divine! There were a couple of couples that instantly came to mind when we first saw The Bright Side’s product range. This is a fun Valentine’s gift that is guaranteed to make them smile. Sadly, it won’t guarantee more cups of tea though. Sharing a glass (or two) of port together is a pretty romantic way to finish off a lovely Valentine’s Day dinner, especially as the nights start to cool off. These traditional Port Sippers are an elegant way of enjoying your port or fortified wine, whilst helping to enhance the flavours. Cheese is also great way to finish of a romantic evening that you don’t want to end, especially if you’re not a dessert person. With so many different types of cheese, you’re bound to find something that your Valentine will enjoy. Serve it in style on this stunning slate cheese board. One of the best features of this board is the chalk pencil that can be used to write the names of your different cheeses on the board. Don’t let your curled collar let you down this Valentine’s Day. Keep your shirt looking it’s best with these clever Magnetic Collar Stays from Würkin. You’ll be your Valentine’s favourite person on the coldest winter days when they snuggle up with this hottie in bed or in front the TV. This KeepCup makes a thoughtful Valentine’s Day gift not only because of the striking red colour, but also because your Valentine will think of you every time they drink their morning coffee. If you’re after a high quality iPad case, look no further than this well-made leather case from Troika. The striking red lining is the colour of passion – very appropriate for Valentine’s Day. This bold, unexpected use of colour is characteristic of Troika’s distinctive designs. If you’re planning a romantic getaway this Valentine’s weekend, travel in style with this gorgeous leather duffel bag from Boheme. Alternatively, if you’re in a spontaneous mood, pack your Valentine’s belongings in this bag and surprise them with a last minute mini break. Lots of Brownie Points guaranteed! Keep up to date with what’s happening at Mr Gift by visiting our Blog or the What’s New page on our website. Whatever you’re up to this Valentine’s Day, we hope it’s a good one!